Cleaning is a process of lowering the adhesion force between the particles and the surface to be cleaned allowing the contaminant to be easily captured by the wiper. It involves a method of balancing the particle content between the contaminated surface and the wiper. Volatile solvents such as alcohol that exhibits low surface tension are often used to lower the particle adhesion force to the surface. These solvents also remove organic oils present on the surface. Wiping action allows the solvent wetted wiper to remove and absorb contaminants from the surface into the wiper until desired cleanliness level is achieved. 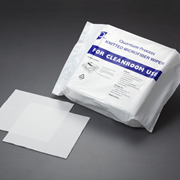 The wipes consist of composite spunlaced non-woven polyester and cellulose. The material is composed of 50% cellulose and 50% polyester filament yarn in rolled form. 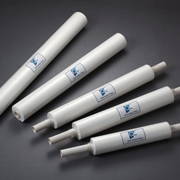 It exhibits high tensile strength, very low particle and fiber release and high absorbency. 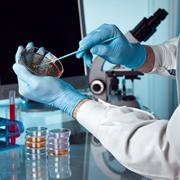 Our cleanroom swabs are designed for effectively cleaning small surfaces in controlled environments. Produced by advanced patented CAM technology, these swabs are widely used in photoelectric, semiconductor, computer, and medical device manufacturing. Our cleanroom mops are designed for applying disinfectants and removing contamination in controlled environments. Available in three configurations in both foam and polyester. 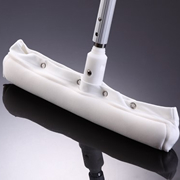 These mops are widely used in semiconductor, pharmaceutical and medical device manufacturing.